Other than to mention that despite his myriad of alarmist dud-predictions resulting in costly, failed unreliable (green) energy solutions – geothermal, failed windmills, $12 billion of mothballed desal plants, to name a few, the Government funded ABC continues to default to him as their resident climate expert!? The groupthink, warmist activists over at the ABC, never once questioning or holding him to account for his litany of green failures and dud-predictions, costing taxpayers literally billions upon billions of dollars. 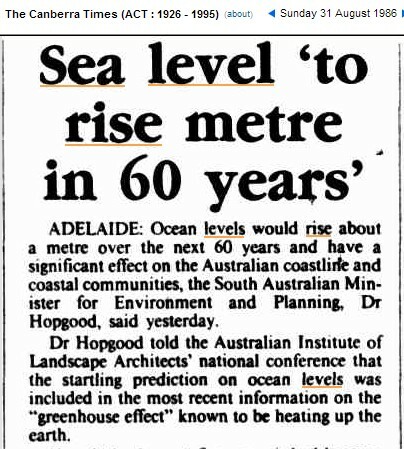 But once again, the worst Flannery and his climate change alarmist cronies can ever be accused of, for failed alarmist predictions resulting in massive taxpayer-dollar waste, is an excess of virtue, in order to “Save the planet”. There are hot rocks in South Australia that potentially have enough embedded energy in them to run Australia’s economy for the best part of a century. They are not being fully exploited yet but the technology to extract that energy and turn it into electricity is relatively straightforward…. From Two Men in a Tinnie to this Ship of Fools. 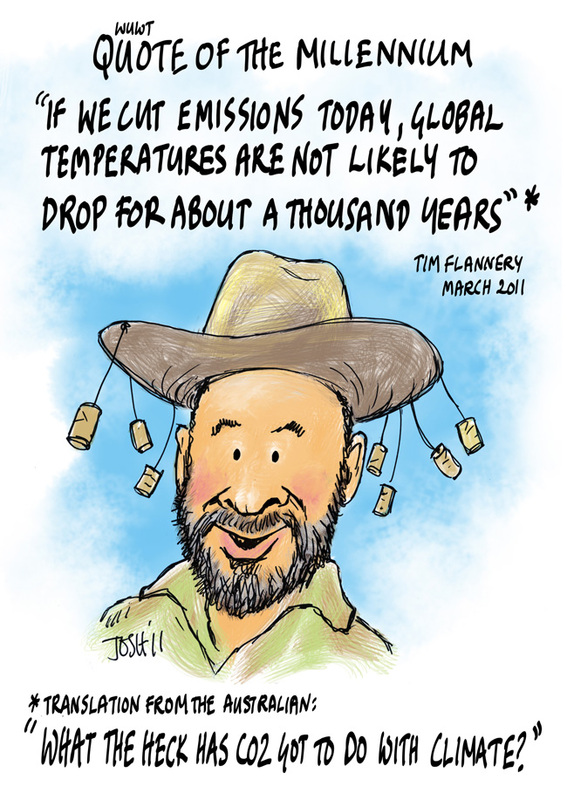 Climate catastrophist, Professor Tim Flannery has awarded himself an upgrade! Taxpayers have forked out ­almost $13,000 for South Australian Premier Jay Weatherill, his department’s chief executive and two political staffers to stay in a five-star hotel for the Paris climate change talks in December. This comes after taxpayers outlaid more than $185,500 for a private film crew to follow the Labor Premier on two overseas trips, including to Paris, to produce promotional videos. Government figures showed it cost about $53,600 for two people from Adelaide company 57 Films to follow Mr Weatherill on the Paris trip. 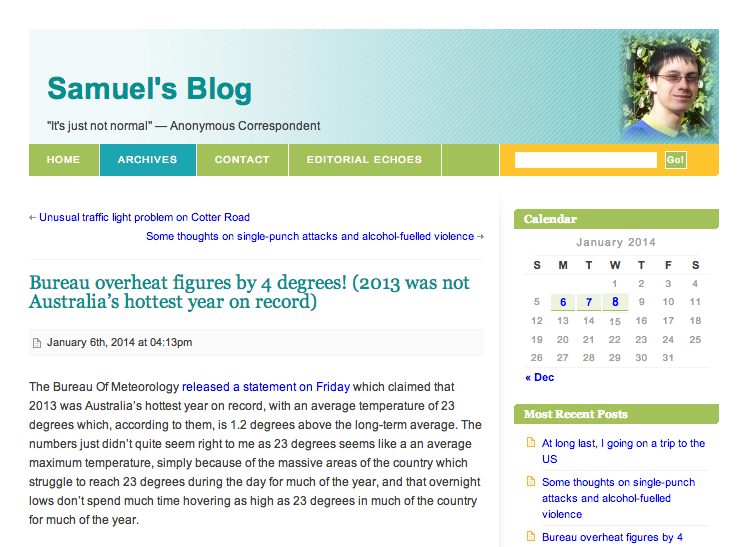 For the third time this year we’ve been hit with claims of a “hottest ever” record that doesn’t tell us anything about the climate, but does reveal a lot about the sick state of government funded science, corrupted, decrepit, and so far from being scientific it might as well be run by Greenpeace. If the government stopped funding climate science entirely, climate research might speed up. Again, for the millionth time, even if it is the hottest for a century, it doesn’t mean anything about the cause. To state the bleeding obvious: all causes of warming cause warming. The world started warming up in the 1700′s, long before CO2, the trend was the same in the 1870s as it was in the 1980s. None of that fits the man-made- emissions graph of CO2. Ergo, CO2 didn’t have much effect, if any. The climate models can’t tell us what caused the warming to start 2-300 years ago, they don’t work on 20 year, 2000 year or 200,000 year scales. They don’t work on local, regional or global scales. They don’t work on vertical atmospheric scales. They don’t work. The need for constant “record” headlines (despite the conflicting data) is the mark of an effective lobby group, but it isn’t the mark of careful impartial scientist. There are thousands of measurements coming in from satellites that criss cross the nation day and night covering every corner of the land. This data came out within a few days of the propaganda pieces published all over the country, but the “scientists” at The University of Melbourne couldn’t wait, indeed, they were in such a rush you’d think there was an election on, and dare I say, that getting out an inaccurate message before the vote, was more important than waiting a few days to get the science right? The satellite measured TLT (meaning Tropospheric Lower Temperature) more accurately shows what the bulk atmosphere above the Australian land-mass is doing – which is the quantity that is most directly related to greenhouse gas impacts. Indeed the models tell us that the rate of warming should be larger in the mid to upper troposphere than at the surface. In other words, if CO2 caused the warming, it would turn up in these satellite records before we saw it in the surface charts. The Conversation proves its worth as a government funded outlet: happy to print any old science as long as it’s bad enough. In other words, long trends don’t matter, ignore decadal averages, the current drought in hurricanes, forget global compilations of energy that show that storms are not getting worse, throw all your history out the window. If there is ever a bad storm anywhere in the world, it is our fault. Straight from the playbook of the witchdoctors of neolithic times. Send Karoly some conch shells. The peer reviewed, comprehensive, [hottest ever] Lewis and Karoly paper does not contain the words “satellite”, or “UAH”. Lewis and Karoly apparently do not know about the UAH satellite program yet, otherwise they surely would have emailed John Christy or Roy Spencer (as we did) to ask for the data. We can only hope that they get enough government support, more funding, and better education in future so that they may discover what unpaid volunteers figured out on the Internet for free 3 months ago. Frankly it is shameful that the Australian Research Council (ARC) Centre of Excellence for Climate System Science is not connected to the world wide web and has not trained staff to use “google”. Since the Uni of Melbourne don’t seem to have web access, perhaps someone can do them a favor and send them this in snail-mail so they can finally find out about the University of Huntsville Alabama? I’m sure John Christy would be happy to post them a printout of the UAH Australian data. I can relay messages if Prof Karoly would like. Luckily my email goes all the way to America. 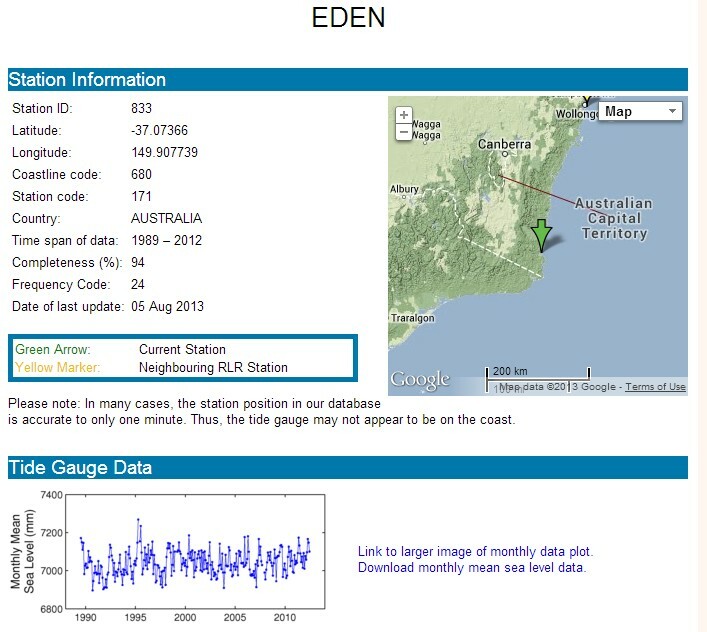 Thanks to Ken, Ed, Chris, and all the independent BOM audit team and to John Christy for the data.